hahahahaha after a week of the whole friday thing, I still find it funny. my brother was like "it's an okay video" WHAT?! an OKAY video?!?!?!??! hahaha damn, anyway, looking adorable as always! 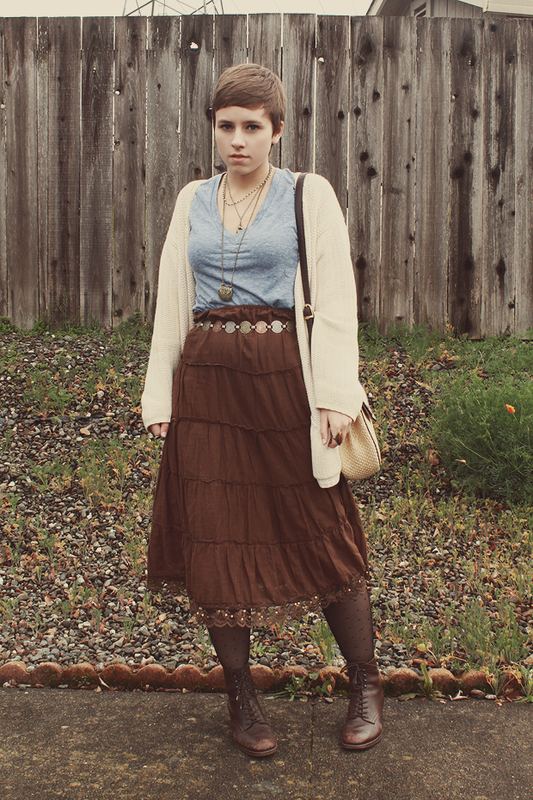 I love your boho-chic style! i love your outfit. you look so comfy and beautiful! and i know what you mean about the friday video, it comes up on facebook newsfeed so many times i dont even know what to do! I love your belt and necklace with this outfit :) Looking great! Ouch. The Event makes me think of scissors.. in a bad way :D Enjoy! 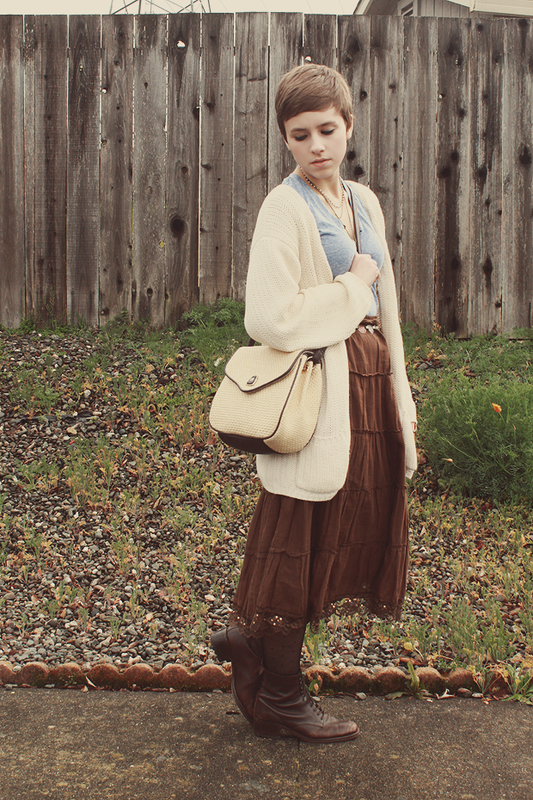 love the outfit, the color scheme is great and i adore that purse! 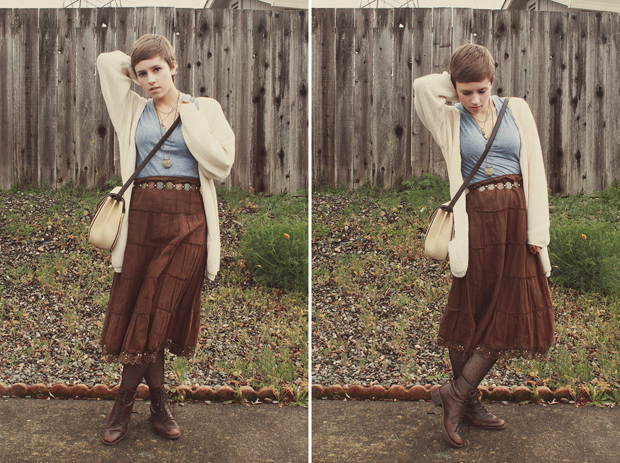 Ok, well your are sporting the brown and layers very beautifully. I love the way you paired the long skirt with those boots. 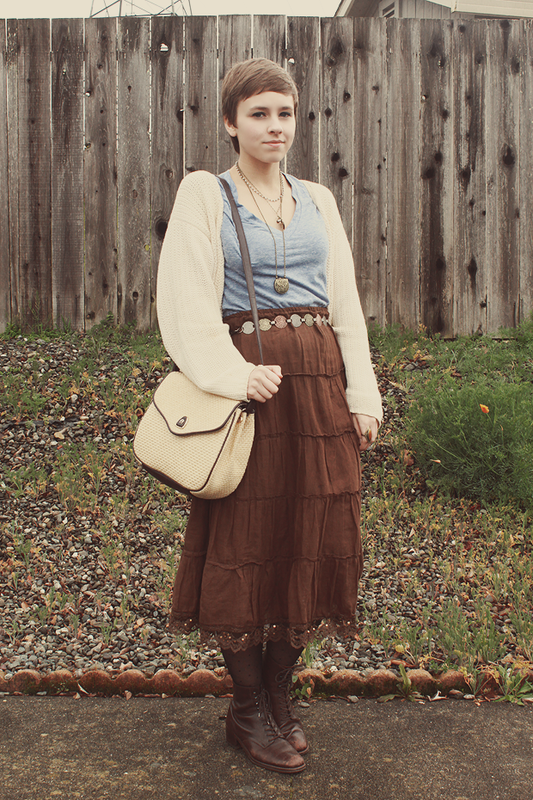 I love all of your thrifty finds :) you always no how to put such a cute outfit together! AHHHHH i cant get that song out of my head!!!! i like this outfit alot. you thrift the prettiest things. i just love your bag.